Good Fashion Design is a title given to entries participating in the A' Design Award & Competition that comply with the "Good Fashion Design" criteria of A' Design Award & Competition, there is not a single category called "Good Fashion Design Award" however entries from several design award categories as listed in this page could be eligible for the title. Fashion design is the art of the application of design and aesthetics to clothing and accessories. Influenced by cultural and social latitudes, trends and technology, time and place, fashion designers work in a number of ways in designing clothing and accessories to bring a garment onto the market by anticipating changing consumer tastes and preferences. Good fashion design is designing clothes and wearable accessories which are functional as well as aesthetically pleasing. A fashion designer conceives garment combinations of line, proportion, color, and texture and the aim of good fashion designer is to create products that not only match the current trends, but are also functional and useful. A good fashion design has a good construction, appropriate material and fabric choices and a good fit. A good fashion designer must predict what colors, styles and shapes will be popular in future, but a great fashion design is indeed expected to be elegant and attractive regardless of the era. Good fashion design must also be socially responsive, make use of materials and fabric that are friendly not only to human skin, but to the environment as a whole. Good fashion design is durable, protective, attractive. Good fashion design incorporates a multi-disciplinary approach which brings together knowhow in the fields of design, textiles and engineering together to deliver products that are aesthetically appealing, ergonomic and functional. Good fashion design is "original". 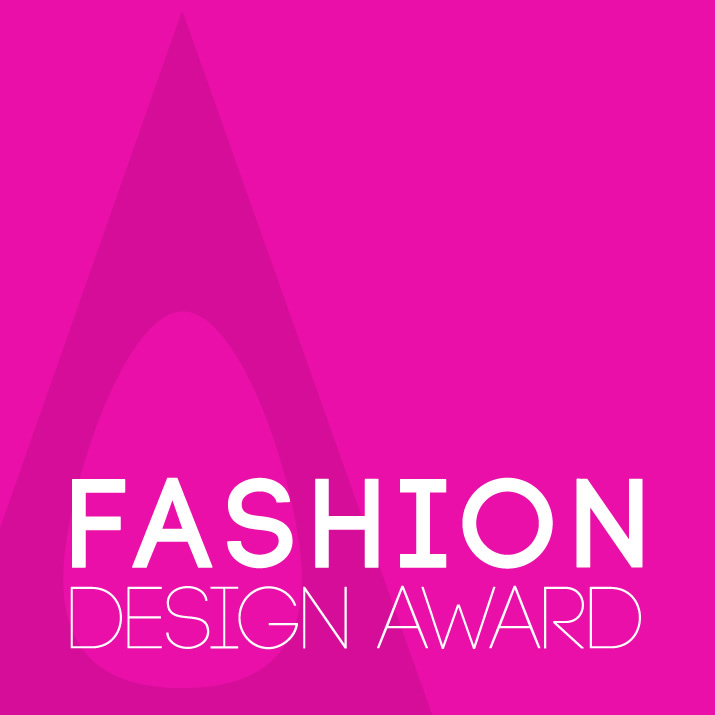 The "Good Fashion Design Award" winner title is granted to A' Design Award winning Fashion Designs that are original, innovative, aesthetic as well as functional and ergonomic. For products to be eligible for the "Good Fashion Design" award consideration, they must include a detailed presentation about technical and functional aspects that help them differentiate from the rest of products. Products could for example demonstrate, in addition to outstanding aesthetics and ergonomics, aspects such as "ease of wearing", "ease of use", "ease of maintenance", "ease of transformation", sustainability, as well as outstanding creativity. Clothing, Accessories, Rings, Hats, Bags, Watches, Sunglasses, Ties, Pins and More. Smart and Innovative Textiles, Fabrics, Textures, Patterns, Clothes and More. Boots, Sandals, Shoes, Slippers, High-Heels, Galoshes, Waders, High-Tops, Mules and More. Necklace, Pendants, Earrings, Rings, Glasses, Watches and More. 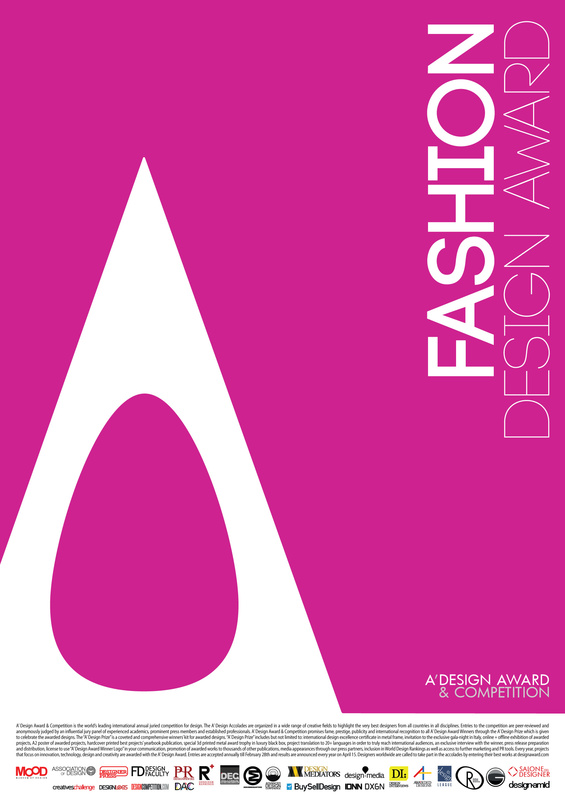 Click on a category name above to discover more details and see previous Fashion Design Award laureates, or view top and recent Fashion Design Award Winners (all categories).